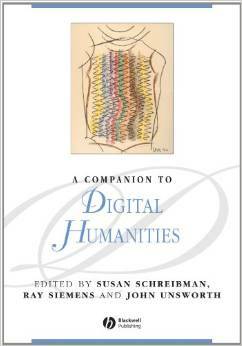 A Companion to Digital Humanities provides a complete yet concise overview of this emerging discipline. The volume contains 37 original articles written by leaders in the field, addressing the central concerns of those interested in the subject. The articles are grouped into topical sections focusing on the experience of particular disciplines in applying computational methods to humanities research problems; the basic principles of humanities computing across applications and disciplines; specific applications and methods; and production, dissemination, and archiving. The Companion is accompanied by a website that will evolve with its readership, featuring useful supplementary materials, standard readings that are publicly available, essays to be included in future editions, and other materials.